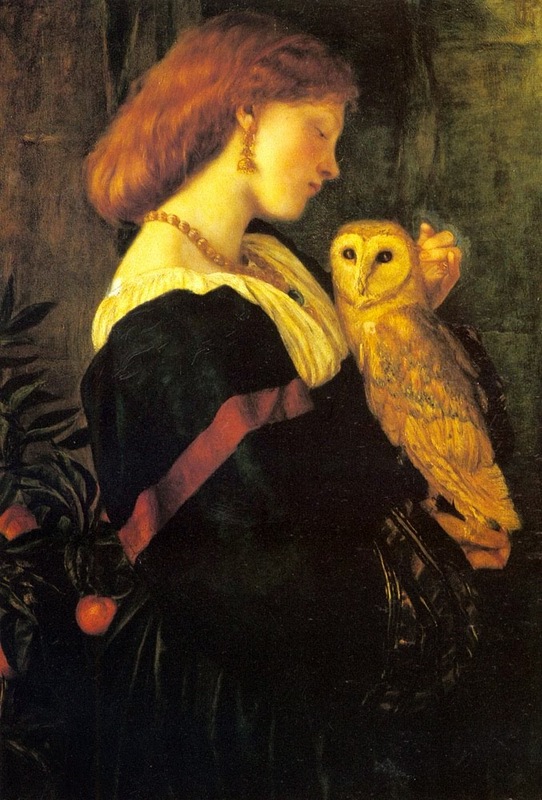 The Aviary: Birds in Art: Valentine Cameron Prinsep's "Il Barbagianni"
Birds in Art: Valentine Cameron Prinsep's "Il Barbagianni"
Valentine Cameron Princep's "Il Barbagianni" features the beautiful barn owl, or Tyto Alba. Princep painted this piece one year after the death of the female model in the painting, Lizzie Siddal. Read more about this painting on the blog, The Beautiful Necessity. Birds in Shakespeare: "A Midsummer Night's Dream"
Virginia Woolf's Essay "The Plumage Bill"